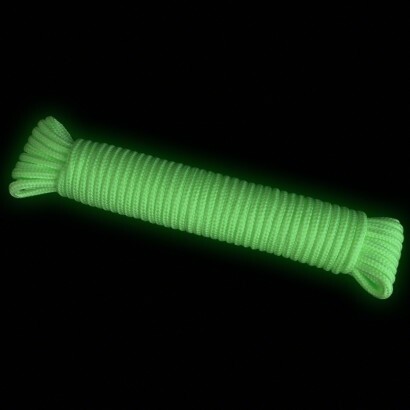 A 10m length of slimline heavy duty rope that glows in the dark! Mark out borders, secure items or take on camping trips for glow in the dark guy ropes. 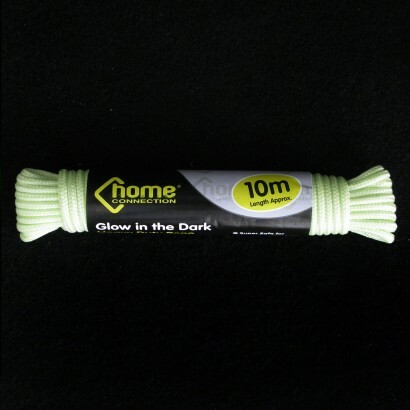 Perfect for marking out trip hazards or guy ropes for your tent, this handy glow in the dark rope will prove invaluable. Simply expose to daylight, and your glow in the dark rope will glow green in the dark. waht is thiss garbag content????? All tents etc should have this! Does what it says on the tin. Brilliant piece of kit.